Pleasantly tucked away is this extended four bedroom detached family home located in Sherborne St. John with a double garage. The ground floor boasts a front to back living room with bay window, dining room, 18ft kitchen breakfast room, study, utility and cloakroom. The first floor features four double bedrooms, the master with ensuite and there is a family bathroom. 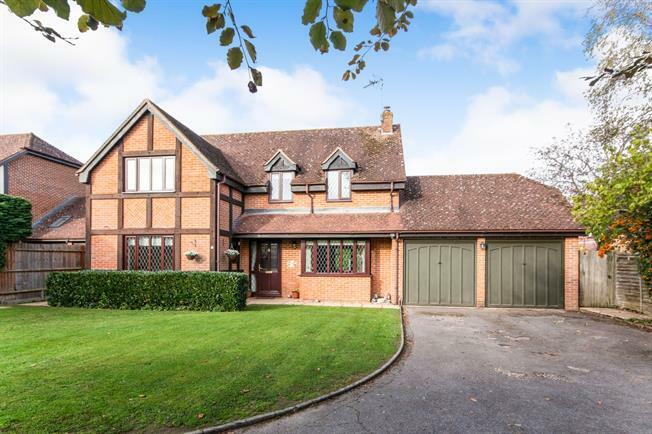 Externally the property offers generous front garden, ample parking for several cars and benefits from an additional plot to the front with potential for another double garage (subject to planning permission). The rear garden has a westerly aspect, is mainly laid to lawn, comes with a large patio area and a fantastic wooden gazebo for Al frecso dining.